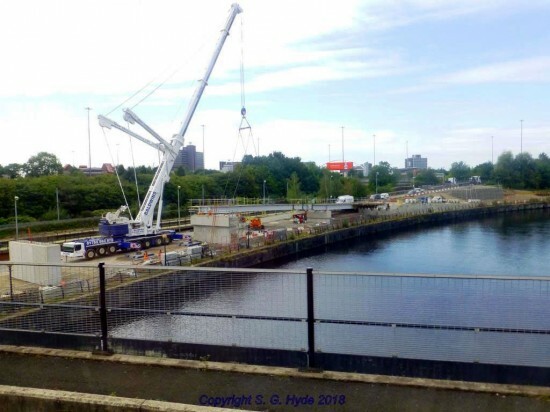 Work on building the Manchester Metrolink extension from Pomona to Trafford Park is continuing at a pace with the weekend of 1st and 2nd September seeing the start of major works to install beams for the connecting ramp between Pomona Viaduct and the route alongside the Manchester Ship Canal. 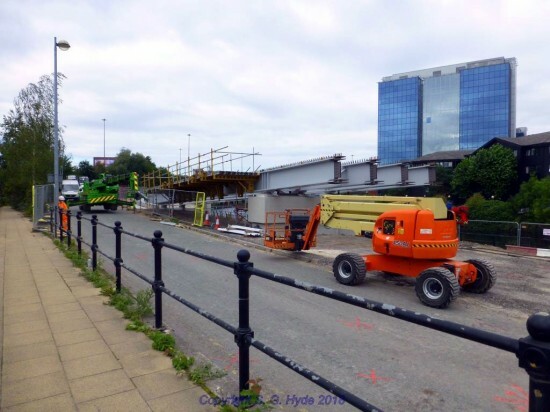 This is the first weekend of major bridge works with 8th and 9th September seeing work to install the Bridgewater Canal bridge steelwork. Steve Hyde went out on 2nd September to see the work completed at Pomona. 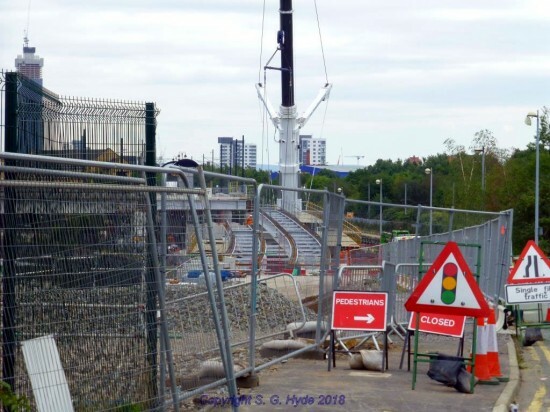 This was taken alongside the worksite on Pomona Strand and shows the end of the beams installed on Saturday 1st September with the ends of the four parallel beams waiting to receive the next 4 sections. 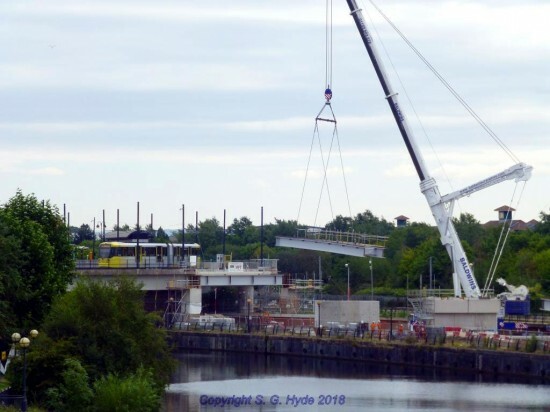 The best view was available from Trafford Road looking east towards Pomona stop and here we see one of the sections being craned into place as 3094 passes over the newly installed junction on its way to Eccles via MediaCityUK. Again from Trafford Road this view shows the length of the approach ramp from Trafford Road up to Pomona stop with the crane gently lowering the bridge beam into place. 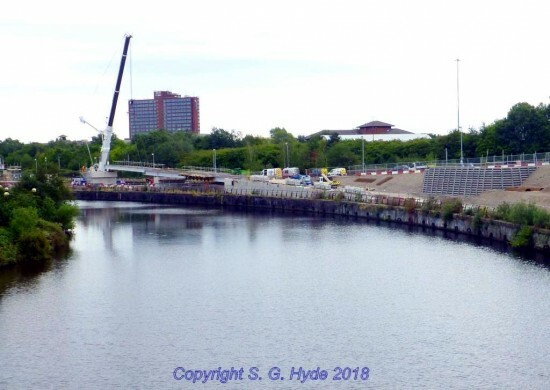 Now looking down Pomona Strand we can see the gently curving route of the new bridge as it runs parallel to the Ship Canal and Pomona Strand.